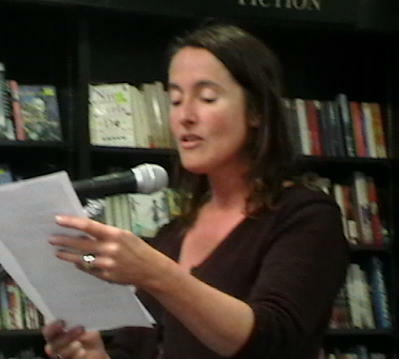 7 Towers ‘Chapters and Verse’ themed reading, Chapters Bookstore, Dublin, Thurs 10th Feb.
with ‘Love and Chocolate‘ as the focus and with a star-studded cast headed up by Catherine Ann Cullen who gave us a poem on chocolate (and the making of it). Then she read from her Doghouse collection: ‘Cicatrice’ (about a love that didn’t go as planned) and one she wrote for her husband about meeting at the Chester Beatty. So romantic! Pauline Fayne began with one from her book with (not-so-romantic) title of ‘Killer of Fishes’, followed by one I’ve heard before and never tire of: ‘Poor Little Poet Man’, Pauline’s mini-essay on misogyny — It always bring to my mind that era when the poet world was a ‘Men Only’ enclave. (Remember that Leaving Cert poetry anthology of yore that had only ONE woman poet in the whole book!). Ross Hattaway promised to read about Love and apologised about the Chocolate bit. He read from his ‘Gentle Art of Rotting’ and also a new poem ‘Skating’. Karl Parkinson finished the evening with his usual style: no shortage of love poems here, with also a running commentary on their genesis. Great to hear again his ‘Ode to Me’ with its breathtaking arrogance and narcissism. And the women love him for it! (Even Pauline Fayne!). How does he do it! 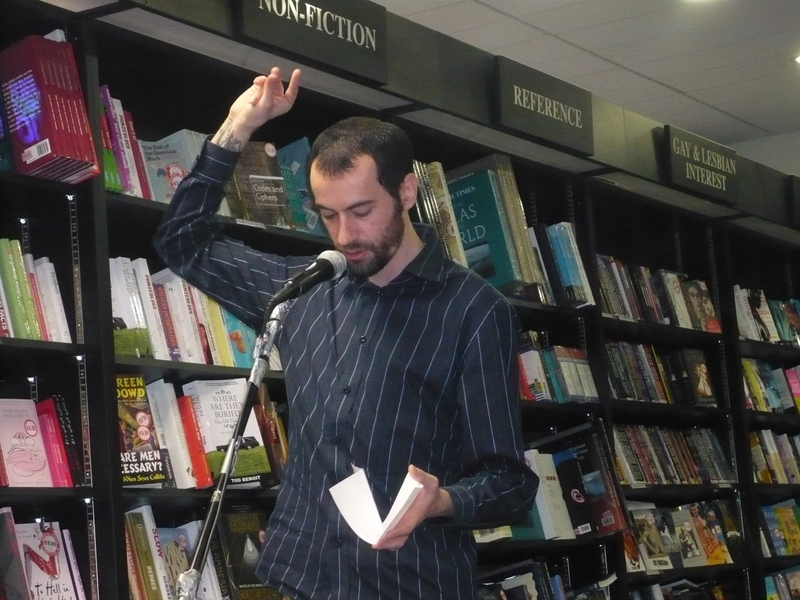 Somewhere in the line-up I obliged with a few love poems, including one called… ‘Love Poem’. A highly original title, doncha think? A very entertaining evening, ably MC’d by multi-talented Oran Ryan. I hope to make it up to one of these events yet!!! Its on the agenda for the coming months!!! You’ll be welcome as the flowers in May!